There are bound to be extremes in all spheres of life. Skin care and anti-aging practices are no different from the rest when it comes to outrageous anti-aging practices. Examples of famous celebrities swearing by a number of bizarre treatments are all too common. Irrespective of what people say, the best way of ensuring healthy and beautiful looking skin is to maintain a healthy diet, exercise regularly and follow a proper skin care routine. However, can there be some truth to those wacky procedures as well? Right? Well, here are some of the funniest and weirdest practices that people have undergone in their quest for beautiful looking skin. Yes, it has a weird name, but famous celebrities such as Jennifer Lopez are known to be fans of these protein rich formulas. Topical placenta is not only known to be highly beneficial for anti-aging, it is also known to be beneficial for acne prone skin. According to Harold Lancer, an MD at the Lancer Dermatology (Beverly Hills), having a placenta regime can help you to provide a noticeable lift to your skin. Adding nutrient rich placenta to your skin care routine should make post treatment care and maintenance extremely simple as well. 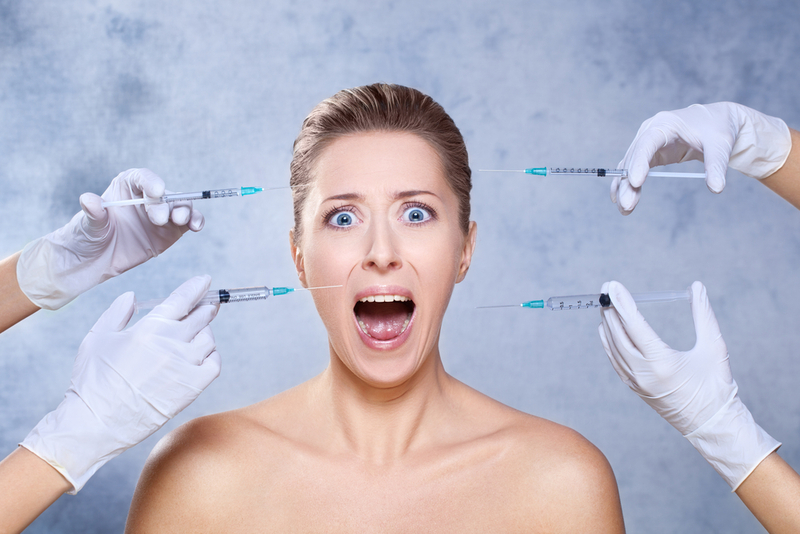 The Vampire Facial uses a needle based therapy. Before we get into the gory details of the therapy, let us inform you that Kim Kardashian is known to swear by the benefits of the treatment. The treatment starts off with a simple facial, but it proceeds to drawing out an ounce of your blood. This blood is then spun in order to extract the platelet rich plasma and is then topically applied to your face through small puncture wounds made by a pen-like device. As old world as this might sound, the treatment is known to boost your elastin and collagen levels and provide your skin with a unique texture and color. Skin needling, also known as collagen induction therapy and micro-needling therapy, is a non-surgical procedure that is used for facial rejuvenation. It requires the use of micro-needling devices to make perfectly controlled skin injuries using a handheld tool that consists of steel tines. These injuries are known to drastically increase the collagen formation in your body, thereby improving your skin. The Stem Cell Facial is considered to be extremely popular all over the world. It requires one to infuse mature and sun damaged skin cells with flawless skin cells in order to get healthier and younger looking skin. Stem cell treatments are known to treat a range of skin issues ranging such as rosacea, inflammation and hyperpigmentation. Diamonds might be a woman’s best friend, but they are also known to do wonders for your skin. There are a number of companies that use these exotic ingredients in their skin care products to help their customers boast of flawless skin for ages. Diamond dust in creams and facial treatments is said to be amazing at exfoliating the skin. Leaving you with glowing and brilliant skin – just like a diamond! Almost everyone has heard about acupuncture facials being a common part in skin care therapies. These facials are considered to be a simpler version of Botox therapies that use thin needles to increase the collagen production, boost circulation and relax your facial muscles. Do these treatments work? Your favorite celebs certainly seem to think so. Why not give some of them a try and let us know what it feels like?